I am so embarrassed! I totally forgot to post my calendar for this month and the month is almost over. 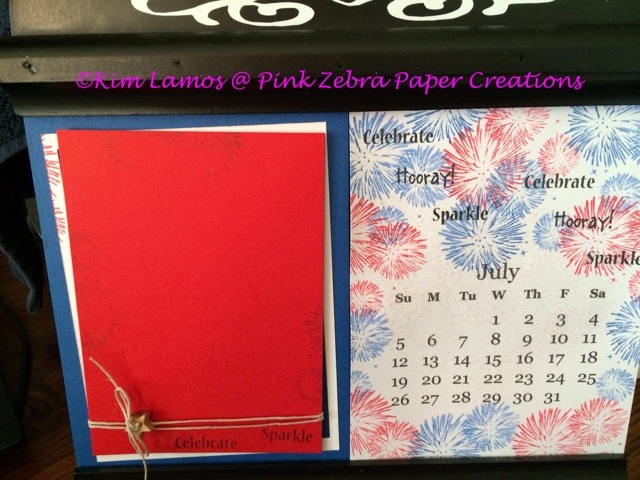 Here is the calendar I made for July! It is hard to see in the picture, but the calendar side of the two page spread is covered lightly with glitter. This is done by doing a 1:1 ratio of Journey Glaze and Water. I sprayed the whole piece of cardstock with the mixture and then I sprinkled glitter lightly over the whole thing.